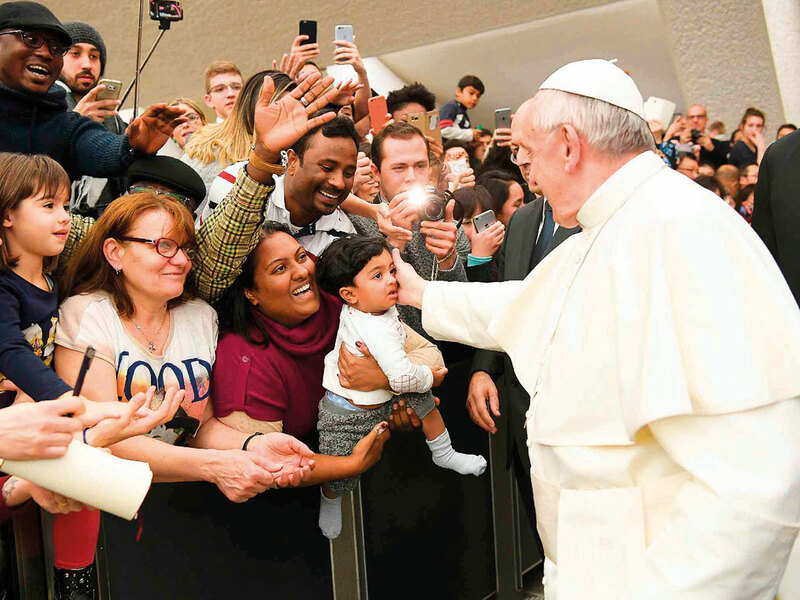 Abu Dhabi: An Indian couple in the capital said they were very excited about the Pope’s visit as their ‘Christmas baby’ is set to get her second papal audience in three years. “Our baby was born on the Christmas eve of 2015 and we took her for a papal audience in December 2016 as a ‘spiritual gift’ for her first birthday. It was the most memorable moment in our life; now, we are getting another chance,” Moncy John, 33, said. Recollecting the papal audience, John said the Pope just patted the child affectionately when her husband told him she was celebrating her birthday. “Then he came back, patted her again, blessed her and prayed for a minute. It was an indescribable experience … the best gift we could ever give to our child!” said John, a banking professional, born and brought up in Abu Dhabi. “We felt the divinity in his presence,” she claimed. Her husband Moncy Samuel, 37, a dispatch controller with a private firm, is on a visit to India now. The non-Catholic Christian couple are members of the St George Cathedral in Abu Dhabi, an Indian Orthodox church. “Although we are not Catholics, we did not have any confusion about the best spiritual blessing [from the Pope Francis]. The Pope commands respect from everyone across the world, irrespective of their religious faith … it is a universal appeal,” John said. “I love his down-to-earth personality. When he meets people, he gives a personal touch. He upholds a progressive ideology as well. He has asked Bishops to do away with luxuries, saying God’s own people should not lead an extravagant life. That is impressive,” she noted. She said when pictures of her child with the Pope went up on social media, “everyone, congratulated us. as they all believed Pope Francis is one of the greatest human beings on the earth”.